If you have any questions or want to enquire about dates, use our form to contact Catherine Habersetzer or see their website for more information. You feel welcome the moment you step into this renovated mountain house by the village church. Oak, spruce and larch abound, many features have been preserved and all is cosy. Catherine and Thierry love to speak English and do bountiful table d’hotes at the long table, or on the terrace in summer (the gardens are delightful). She is a chef and pâtissier, produces for local shops and gives courses in the large spotless kitchen. He is proud possessor of a fleet of 2CVs and a 1947 Traction Avant – book a private tour and set off to explore the mountains with the roof down… Return to log fires, delicious beds, drenching showers. Dinner with wine, €25. Restaurants 2-minute walk. Extra bed/sofabed available €20 per person per night. We returned to stay with Catherine and Thierry within the same year and this time we stayed for a week. What better compliment can that be!? We sampled Thierry's Balade in one of his 2 CV's and had a great morning touring nearby villages and visiting a heritage site sawmill. It was such a fact finding and fun event. The cuisine was excellent as before and we enjoyed 4 evening meals , sharing the table with different nationalities or just our two hosts who entertained us well. We left armed with Catherine's homemade jams and plan to be back asap in 2019. We had a wonderful stay here. The house is so well designed, and Thierry and Catherine couldn't have been more helpful. They provided us with maps + route for a walk, and gave recommendations of where to eat. Dinner with them was absolutely memorable! A lovely, cosy, welcoming place to stay. Wonderful hosts and delicious food. A really relaxing home from home. This was our second stay with Thierry and Catherine, and 3 years on, they are as passionate as ever about what they do. The rooms are impeccably comfortable, the meals inspired and delicious, and best of all is the interesting, lively conversation with the lovely hosts at dinner! They clearly enjoy getting to know their guests, and helping them to get as much out of their stay as possible. Nothing is too much trouble for them, and they love to find new ways to introduce people to their beloved Alsace. And have I mentioned the awesome breakfast....? Delightful accommodation of the best standard hosted by an equally delightful couple, Thierry and Catherine. We had 2 super nights here and want more! We had an evening meal on both nights and enjoyed the quality of the cuisine and the chance to learn so much about the area and the aspirations of the Habersetzers. The converted family farmhouse has been achieved with such elegance, comfort and rustic charm retained, that we fully understand their joy of living there. How can we not mention the 2CVs and the Traction Avant? We hope that when we return we can take a 2CV tour and enjoy more! I can't remember a warmer welcome than from Catherine and Thierry. Their house is beautiful, immaculate and perfectly restored - and the nearby church bells finish at 10 pm! Despite having email problems between France and England, Catherine cooked a superb meal, and I felt that my English was somewhat weaker than theirs during our wide-ranging amusing and intelligent conversation. My first stay here, but definitely not my last. Very strongly recommended. Absolutely wonderful, Catherine and Thierry are lovely, dinner and breakfast great, the house is gorgeous, the Abricot room was super and quiet. Great to see Thierrys wonderful 2 CV's. Liked it so much we are going back in September. A warm and lovely couple hosted us for two nights in comfortable, modern rooms. Our kids loved the friendly communal breakfast and we found the location perfect for exploring parts of this countryside. A fantastic stay! The hosts were so welcoming and accommodating. Their English is perfect and they were more than happy to be 'translators' so that we were able to communicate better with other guests. They have recently completed renovating their property to a very high specification and the facilities offered are brilliant - a very comfortable bedroom and wonderful meals. I would recommend Bluets et Brimbelles as an excellent place to stay. Absolutely delightful! We stayed with Catherine & Thierry for 1 night on the way from the UK to the Italian Lakes, and again for 1 night on the way home. Both nights were fabulous and memorable – Catherine and Thierry are such perfect hosts, we felt we’d known them for years! Both had spent a year in the UK as students and have perfect English. 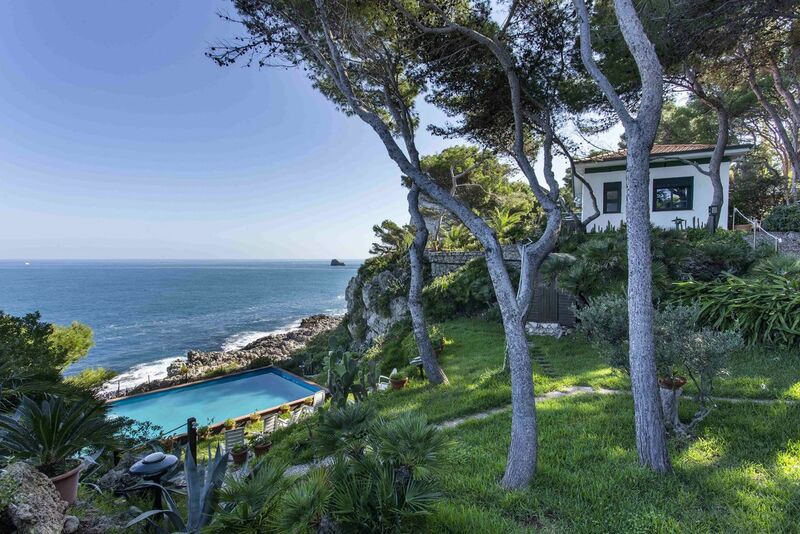 The house is great, a new renovation which has been done to a really a high standard with great attention to detail. The suppers and breakfasts were delicious……… and as you would expect the desserts were breathtakingly superb. Highly recommended! Bakery workshops - During your stay with us, why not enjoy a great moment and participate in a bakery workshop with Catherine ? Drive along the Wine Road and visit Obernai, Riquewihr, Ribeauvillé, Colmar, all within easy reach for a day trip. New ! We are now licensed to organise private tours in our 2CVs, to show you the hidden gems of our Bruche Valley. See our website for further details. 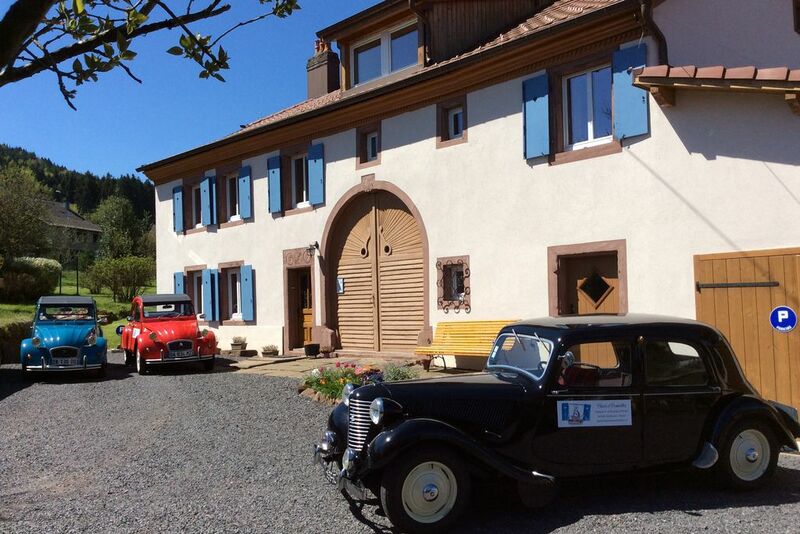 Ask us about our classic cars : we are proud to shelter 2 cvs and even a 1947 Citroën Traction Avant in our garage ! Visit the famous Haut Koenigsbourg castle, after a scenic drive from our house, across the mountains. Catherine's bakeries are available to order : a great opportunity to take some back home with you !